HomeEntertainmentPETA’S A Game of Trolls is back! For only two weekends from October 13 to 21, Philippine Educational Theater Association (PETA) is bringing back A Game of Trolls in line for their 51st theater season with the theme Stage of the Nation, the organization aims to utilize the arts and engage artists to contribute to the discourses that concern our nation. A Game of Trolls is one of the performances they will be showcasing within the campaign. The musical that uses various musical genre such as rock, rap, R&B and more aims to communicate with the younger ground about the story on Martial Law. At the same time bridging internet trolling and fake news to the older audience. 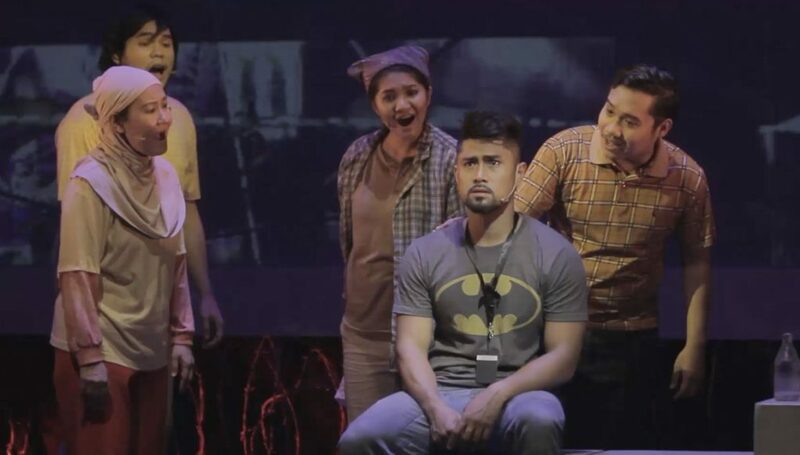 The musical follows the adventure of Hector (Myke Salomon / TJ Valderrama), a professional keyboard warrior for Marshalls of History, a troll center who is running a pro-Martial Law campaign lead by Bimbam (Vince Lim). Hector, being the tactless and detached Internet tough guy that he is, effortlessly infuriates anti-martial law advocates with his insensitive and random unsolicited comments about the victims of Martial law, making him the top guy in the trolling game. This prompts the “visits” of the Ghosts of Martial Law from the Internet Cloud, reminding him to never forget their struggle to liberate the country from the dictatorship. Their stories, along with his own mother’s, Tere (Upeng Galang-Fernandez / Gail Billones), made Hector re-examine his involvement in the trolling business. The concept of the musical is both connecting the past and the present which all viewers coming from various generations will surely understand. It is directed by Maribel Legarda, written by Liza Magtoto with music by Vince De Jesus, (the same team that brought you Caredivas). For tickets, you may contact PETA at 725-6244 or visit www.ticketworld.com.ph. You may also visit our website: www.petatheater.com or send a message to the PETA Theater Center official Facebook page (www.facebook.com/PETATheaterCenter/), Instagram and Twitter (@petatheatercenter).